The back wall of the loft is connected to the staircase. The staircase walls are connected to the foyer walls. I would love to paint the space, but doing so would require me paint the staircase and the foyer. So I will stick to what I have to avoid painting the foyer and the staircase. Like I said, this is going to be a simple and quick makeover. 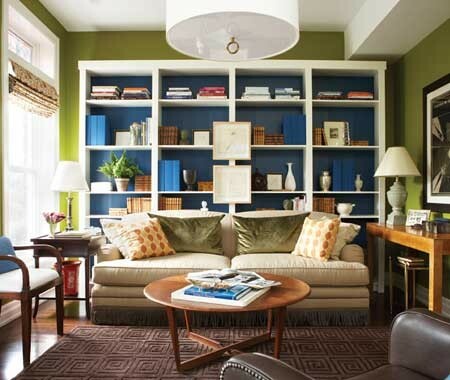 Since I am not going to paint, then I thought of colors that would compliment the wall color. Black, cream, brown, and gold came to mind. 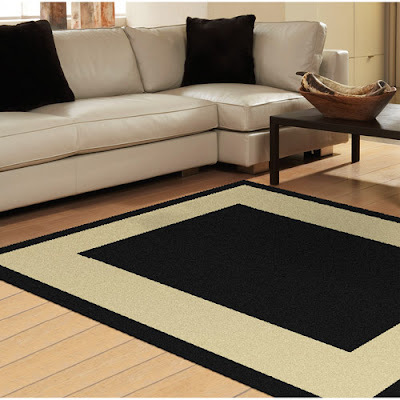 I like the idea of using a black and cream rug as my base, like this one from Walmart. Don't you love when you find good stuff at Walmart?? This one is only $79! Love it. 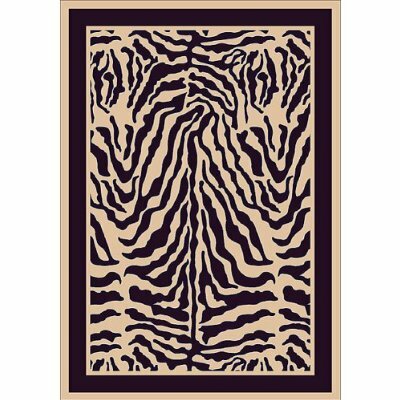 I also thought about going with something a little more wild like this zebra rug from Target. ﻿﻿I have tons of books and their colors make them great accessories. But I think the space is too small to integrate a full-scale bookcase. So my second idea was to do a photo wall. If you are like me, you have a ton of pictures that need to be framed. I already have a small collection of frames, so I think this is the perfect option. 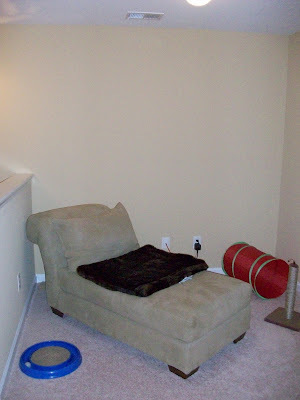 Photo walls are very warm, personal, and versatile. 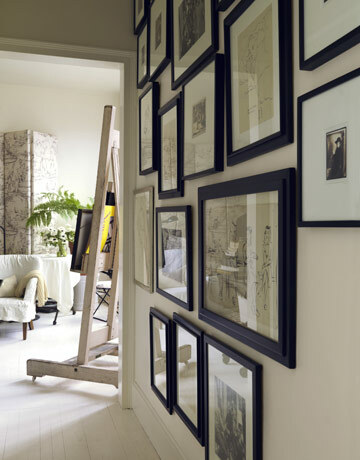 I love the simplicity of this photo wall I found via House Beautiful. The simple black frames with white mats would really pop on the wall. ﻿Since this is a more simplistic look, I would use the zebra rug to add more style and contrast. 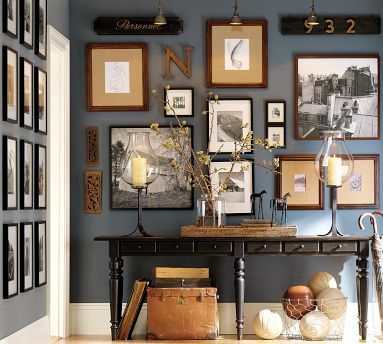 The second option would be to use a mixture of black, brown and gold frames, as seen in this photo I found via Pottery Barn. Since the color contrast is on the walls, I would use the Walmart rug to keep the space from being too busy and overwhelming. Decisions, decisions! TODAY, I am leaning more towards the black, brown, and gold frames and the simple Walmart rug- but that is subject to change. What are your thoughts? Your input would be greatly appreciated! I hope to make a final decision this week so that I can move on to furniture and accessories next week. I love the zebra rug/black frames option. I do think either option will work beautifully, though! And not feelin' January's dress..
Whoops, I forgot to tell you to stop by my blog for a coupon code good for 10% off at Overstock. They also have some beautiful rug options at great prices! so many ideas... cant wait to see what you decide on. Its funny you should bring up January Jones' dress from last night, because I've been thinking about it all day. I think its spectacular and she looks LIGHTYEARS better than that crazy thing at the golden globes. Don't you love having a space with endless possibllities to decorate? 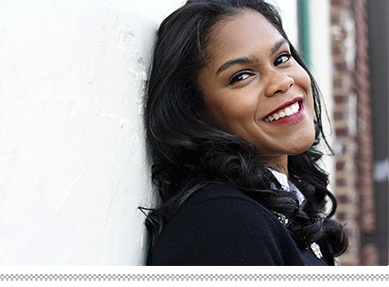 You have some great inspiration going here. You will have to share the result! With a home stair seat lift framework,Continued people can climb and down the stairs with more security and absent much exertion.